Noah Levy Highland Park IL REALTOR offers tips to Homeowners! Every year we all make personal resolutions in hopes of leading happier and healthier lives, but what about our houses? Whether you’re buying, selling or staying put, resolve to make the most of your environment. Get a handle on clutter. It’s the worst. For homeowners looking to sell, it’s the cause for major panic when their agent calls to schedule a showing. If you’re looking to sell or buy then you will soon be moving, and packing will be a much better experience if you aren’t mucking your way through clutter or potentially dragging it with you to the next place to sort. Avoid at all costs. Break your house down into zones that need to be organized and finish one zone before moving to the next. If paper is your biggest challenge consider dropping off a load with a shredding service. Don’t Defer Maintenance. A minor repair can turn into a major expense. Just think, re-caulking showers, replacing a window or getting sewer lines rodded can make the difference between a small preventative fix and an inconvenient and costly repair. Maximize Energy Efficiency. You don’t have to do everything at once, but consider upgrading windows and doors, buying Energy Star appliances or adding insulation as your budget permits. The front end expense will translate to major savings over time and make your home that much more attractive when it is time to sell. Even little adjustments like thermal insulation blankets or spray insulation in baseboard gaps can make your home more efficient. Don’t Postpone Home Improvements. I’ve seen sellers finish basements, redo bathrooms and buy new kitchen appliances in preparation for market. Why not enjoy those things now instead of leaving it all for the next owner? Small, incremental improvements will help you to love the home you’re in and they don’t need to break the bank. Surf the web or cruise home improvement aisles for inspiration for storage solutions, change out a bland developer light fixture for something fun, or pick up a few cans of paint to freshen up your place. Still on the fence as to whether to stay put or make a move? If you live in Highland Park IL or surrounding North Shore suburbs give me a call or email me and let me help you evaluate. 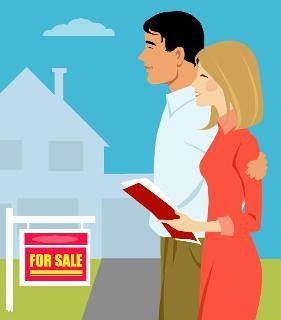 The above article,Noah Levy Highland Park IL REALTOR Offers Tips to Homeowners, was written by Noah Levy – A REALTOR assisting buyers and sellers with their real estate needs along Chicago’s North Shore.